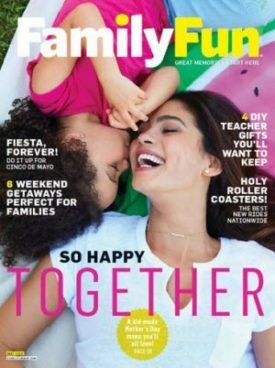 You are here: Home / FREEbies / FREE Subscription to FamilyFun Magazine! Sign up to get a FREE Subscription to FamilyFun Magazine! FamilyFun is the magazine for parents with children ages three to twelve. FamilyFun is an ideabook for all the exciting things families can do together. FamilyFun is the essential information source, offering creative activities, party plans, family travel, learning projects and all clever ideas that busy mothers and fathers need to have at their fingertips.